We’re pretty much on schedule this week. Look for PlaneBusiness Banter to be posted in the next couple of hours or so. I’ll let you know when it’s ready for subscriber scrutiny. This entry was posted in PlaneBriefs on October 26, 2006 by Holly. Next time you need those “must-have” tickets for that Lakers game –just call up the new VP of corporate communications for Ticketmaster in LA and use your airline industry pull to try and get the big guy to give in. Yes, that new big guy for Ticketmaster will be Ed Stewart, a fixture at the corporate communications department of Southwest Airlines for so long I can’t remember when he wasn’t there. But actually he was at American before making his way across town. Ed, who has been known to call himself the “one black guy surrounded by all these blondes” has, from what we’ve heard, resigned from his position as Senior Director of Public and Media Relations at Southwest and will be making LA his new home. Ed, you dog. Talk about a job that sounds like it has primo bennies! This entry was posted in Uncategorized on October 26, 2006 by Holly. We had five airlines report earnings for the quarter before today — American (AMR:NYSE), Southwest (LUV:NYSE), Continental (CAL:NYSE), JetBlue (JBLU:Nasdaq), and Alaska Air Group (ALK:NYSE). Today they were joined by AirTran (AAI:NYSE), Republic (RJET:Nasdaq), and US Airways (LCC:NYSE). Here’s how the profit and loss parade shapes up as of today. Those airlines that have reported a loss for the third quarter: JetBlue, AirTran, Alaska Air Group. Those airlines that have reported a profit for the third quarter: American, Southwest, Continental, US Airways, Republic. The airline that came in substantially under analysts’ forecasts: AirTran. Not surprisingly, shares of AirTran are taking a beating today. Trading volume here is already heavy, just a little more than an hour into the day, with the stock now down about 3% — hovering around 10.66. Will be interesting to see how these shares weather the storm before the close. For PlaneBusiness Banter subscribers, look for our in-depth report on Southwest, Continental, JetBlue and Alaska in this week’s issue. Oh my. Do we really have to? I mean, it’s not even Halloween yet. This entry was posted in Uncategorized on October 24, 2006 by Holly. This morning it was reported that MAIR Holdings, Inc. (MAIR:Nasdaq) had been granted its request for a preliminary injunction against potential strike action by three unions representing employees at Mesaba. The request for a preliminary injunction was granted by U.S. Bankruptcy Judge Gregory Kishel. This list includes the Association of Flight Attendants, the Air Line Pilots Association, and the Aircraft Mechanics Fraternal Association. John Spanjers, president and COO of Mesaba said today that the airline will continue to try and work out agreements with the three unions, but that the company intends to impose terms on the three groups on Thursday, if no agreements are reached. Okay, well, last week was kind of a bust around here at the Buzz. We got home late Monday night from our recent trip to the Valley of the Sun, earnings started, my niece came in town for a lovely visit (albeit too short), Wednesday we were listening to AMR’s call and began writing PBB, and then Thursday my mother decided to “go crazy” as she put it — as she got mad and threw a fit in the nursing home, during which she somehow managed to fall out of bed and onto the floor. After that, she ended up in the emergency room. Not sure if this was a one-time thing, or some type of further deterioration in her Parkinson’s dementia decline — but she came through it without breaking any bones. Sunday she seemed pretty normal. Well, except for some nasty black and blue reminders of her adventure on the linoleum. So anyway, pardon my lack of posts last week. It was the proverbial three-ring circus around here. Looking across the vast sea of airline tidbits today, I note an interesting research note from David Strine, analyst with Bear Stearns. Interesting because he suggests an airline merger that actually makes sense. In anticipation of JetBlue (JBLU:Nasdaq) announcing third quarter earnings tomorrow, Strine writes that he believes the best thing that could happen to both JetBlue and the not-yet-certificated Virgin America would be for the two airlines to combine forces. There are two very big reasons for this suggestion by Strine. One, JetBlue needs a lot of money, roughly $200 million by Strine’s estimation, over the next year to fund the airline’s growth plans. But this means another equity deal is probably in the works. And this means there is further stock dilution coming, and this, on top of all the other issues facing JetBlue, is going to continue to hang over the stock. On the other hand, Virgin America desperately needs an operating certificate. As we all know, JetBlue was originally going to be Richard Branson’s U.S. entity. But that deal fell apart when an apparent rift developed between JetBlue CEO David Neeleman and Branson, and Branson took his marbles and went home. Then there is also the potential alliance considerations that could come about with Virgin Blue, Virgin Nigeria, and Virgin Express. Not to mention Virgin Galactic, which eventually hopes to book your flight into outer space. Could Neeleman and Branson put aside the disagreements they’ve had in the past, kiss and make up, and in the process give both airlines what they need? I think it’s a good idea. ‘Cause my gut feeling is that Virgin America is not going to get its okay from the DOT anytime soon. Meanwhile the flow of cash out the door at Virgin is getting out of hand. 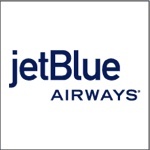 As for JetBlue, they need a shot in the arm. Of some type. From somewhere. This entry was posted in PlaneBriefs on October 23, 2006 by Holly. Come and get it. This week’s issue of PlaneBusiness Banter is now posted for subscribers. Oh, and PlaneMom is still in the hospital, but at least it appears she didn’t break a hip or anything else when she decided to climb out of her bed at the nursing home. This entry was posted in Uncategorized on October 19, 2006 by Holly. Hey guys. Today is posting day for PlaneBusiness Banter. Our intention is to get this week’s issue published later today. However, PlaneMom was admitted to the hospital this afternoon and things are a little dicey around here. Hey guys. Yeah, it’s pretty much been a zoo around here since returning to the Worldwide Headquarters late, late, Monday evening. Or rather early Tuesday morning. Lots to talk about, but for now I’ve got one timely thing to remind you of that you might be interested in catching tonight. 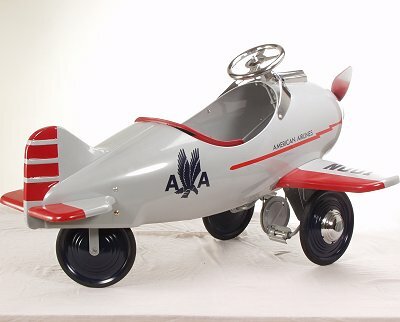 CNBC is presenting a two-hour look at American Airlines tonight. “Inside American Airlines: A Week in the Life” airs at 9 p.m. EDT. The program was apparently shot during one week in August. The only objectionable thing I see about the program, after reading the promos for it, is that Peter Greenberg is the reporter and the host for the program. 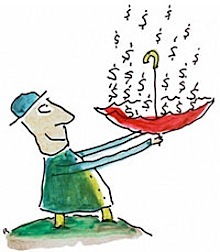 Sorry, but I think Mr. Greenberg, who can be seen on a regular basis on NBC’s Today Show telling passengers how to nab lower fares, has an ego the size of the Pacific Ocean. But hey, we’ve put up with worse. I mean, after all, this is the airline industry. This entry was posted in PlaneBriefs on October 18, 2006 by Holly. I know, I’ve just been a travelin’ fool of late. Well, that will end tonight when I finally get home at about 1 AM. Yes — I’m not looking forward to this long day. 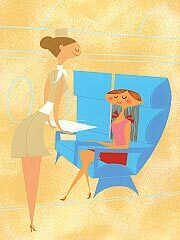 And oh, yes, if I get service like that when I fly today, I promise I will write about it tomorrow. Actually that graphic looks kind of Jetson-esque, doesn’t it? Before I’m out of touch for a bit — just a couple of updates on stuff going on with the things with wings. One — Friday Aloha Airlines filed suit against Mesa Airlines (MESA:Nasdaq). We figured this was a done deal — especially considering the comments made by U.S. Bankruptcy Judge Robert Faris in conjunction with his ruling the week before on the Hawaiian Airlines’ (HA:AMEX)request for an injunction against Mesa’s go!. If you are bored and would like a little reading material to pass away the time, you can download the entire Aloha lawsuit by clicking here. It’s in .pdf format. Secondly, we have news from both Mesaba (MAIR:Nasdaq) and Comair. 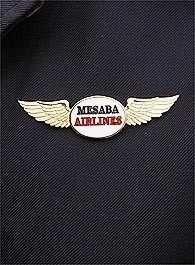 In the case of Mesaba, the airline says today that it will not impose pay cuts on its unions until at least tomorrow, when its request to block a strike goes before U.S. Bankruptcy Judge Gregory Kishel. Reports this morning said that Mesaba and its three main unions negotiated until late Sunday and resumed talks Monday morning. Kishel had given the airline and its unions until this afternoon to try and negotiate deals — before he rules on whether Mesaba has the right to impose terms on the unions. Tuesday, Kishel is scheduled to rule on the airline’s request for an injunction to block work action by any of the airline’s union — if it does impose terms. If you haven’t already heard, Friday the flight attendants at Comair and the airline announced a tentative agreement had been reached. Finally — earnings start this week. It should be a good quarter for most of the airlines — but fourth quarter could actually be better — if oil continues to hover around the $60 mark for the bulk of the quarter and demand stays healthy. 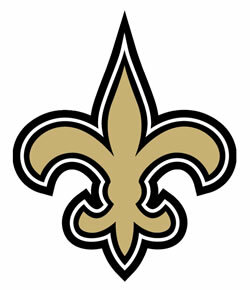 And finally, since it is Monday — how ’bout ‘dem Saints? Another heart stopper from the Bless You Boys yesterday as they outplayed, outlasted, and outwitted the Philadelphia Eagles. As for the SEC this weekend, what a fiasco that was. Vanderbilt upset Georgia, Alabama squeaked by Ole Miss in overtime, and unfortunately for Florida Gator fans, Auburn handed Florida its first loss in a wild game at Auburn. As I said last week in PBB, I think this year everyone in the SEC is going to beat up on everyone else — leaving Ohio State and, oh, maybe Michigan to fight it out for all the marbles. Have a good one guys. I need to get packed and off to the airport. This entry was posted in PlaneBriefs on October 16, 2006 by Holly.